I’ve had a bit of a cold since New Year, so haven’t really been online to post. 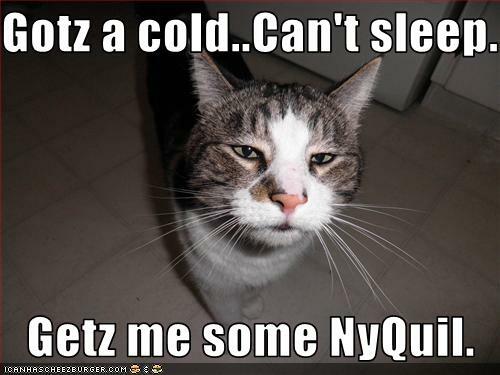 Nyquil is my friend! I won’t forget Caturday, since I seem to have hit a hot button with that weekly feature. It’s fun, and doesn’t require my virus laden brain cells to work too hard! Be back next week with new nomables! Awwww….crap. Hope you get to feeling better soon! Hope you feel better fast… maybe Kitchen Cat can make you some soup!